Greetings citizens of planet earth. Taiwan police are no exception. All police need to be held accountable for there crimes! 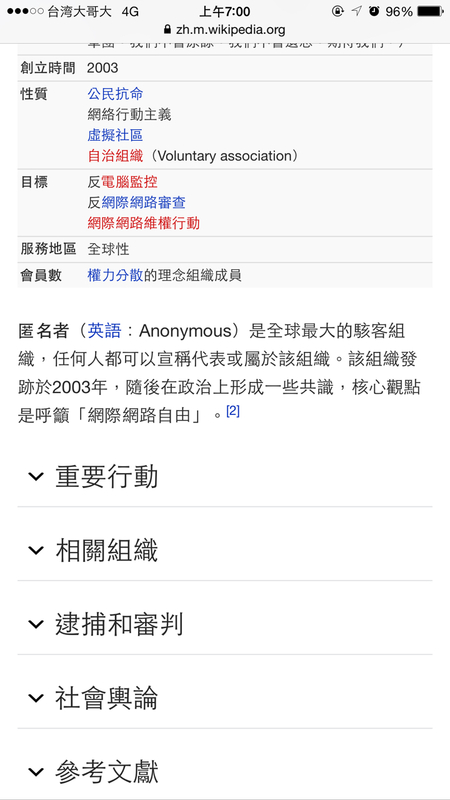 We did not organize the attack against the Taiwan Government websites! message to the government of Taiwan! We know that message was received very clear! When you beat and hurt the people of Taiwan, you can expect retaliation! Unfair Unfair Sorry...Can this site represented the whole world Anonymous?? Does this operation have been approved by region of others Anonymous?? Do you have authorize by region of others Anonymous?? been authorized and I can't agree your react neither. We are Anonymous. Expect us.